In order to meet each client’s demand, we are providing a wide spectrum of PVC High Pressure Pipes in the market. This offered range of pipes is widely known for its usage in the circulation of chemicals, water and gases in multiple industries. Moreover, their reasonable rates and delivery on time have earned us vast appreciation in this arena. 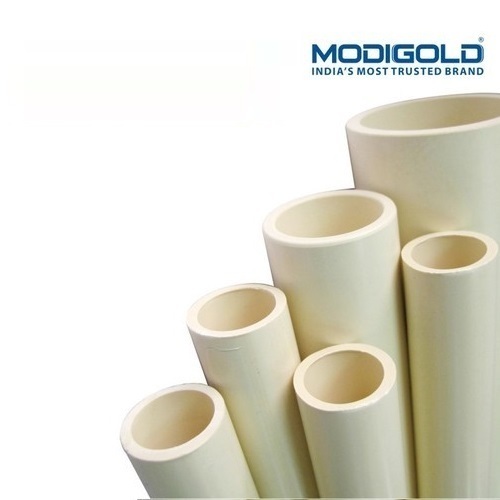 Established in the year 1996, we, Modigold Pipes Private Limited, are a prominent name engaged in manufacturing and exporting a quality assured range of Water Tank, PVC Pipes, HDPE Pipe, uPVC Pipe, Suction Pipe, LD Pipe, Sprinklers System, Garden Pipe and many more. Also, we offer Electrical Conduit, Water Tank, Plastic Sheet and Road Safety Equipment. The products offered by us are manufactured using optimum-grade material that is sourced from most trusted & reliable sources of market with the aid of our procuring agents. These products are appreciated by customers for their robust construction, dimensional accuracy, durability, fine finish and efficient performance.